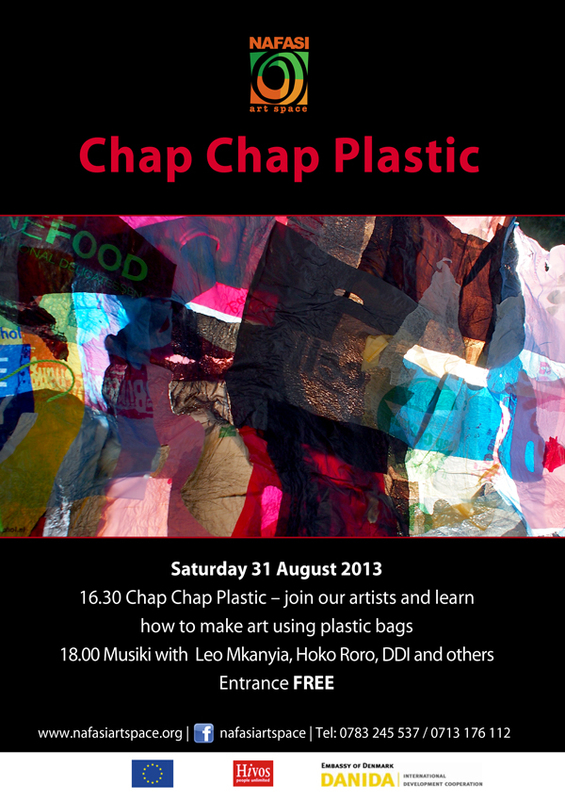 Chap Chap Plastic with Music and dance from Leo Mkanyia, Hoko Roro and DDI. Nafasi Art Space, P.O. Box 31715, Mikocheni, Light Industrial Area, Dar es Salaam, Tanzania From ITV Road, take the second right, then it's the third gate on your left. From BP Nyerere, go to just after La Fiesta pub, and turn right, follow the paved road and follow the signs, left where the road turns left, then first right, it's the 3rd gate on your right. From Sayansi, turn left just before La Fiesta Pub, and follow the same directions as above. nafasi art. Awesome Inc. theme. Powered by Blogger.